Wavves' Nathan Williams Talks Record Label Shopping for 'Afraid of Heights,' Eating "Crazy Filet Mignon"
When it came time to record the upcoming Afraid of Heights, the follow-up to Wavves' much-lauded third album King of the Beach, Nathan Williams chose a rather unorthodox path. "[I] just figured I'll pay for it myself and [I'll] get a label to pay me back after it's done," he reveals in a recent interview with Exclaim! Williams explains that he was put off by the way record companies — even indies like Fat Possum, who released both King of the Beach and its predecessor Wavvves — would check up on their investment during the creative process. "The people that would come in were people that had never written songs before," he says. "They'd be wanting to pick a single or see how the record's doing and what it sounds like and the songs aren't even halfway done. They have no idea what the process is like." Williams says that he's maintained a good relationship with Fat Possum and recognizes the label's financial concerns. "Like any label, they give you money and they want a return on that money and they want to know that the money is being spent properly." Still, by paying for the yearlong recording sessions himself, he was able to work without concern for anyone else. 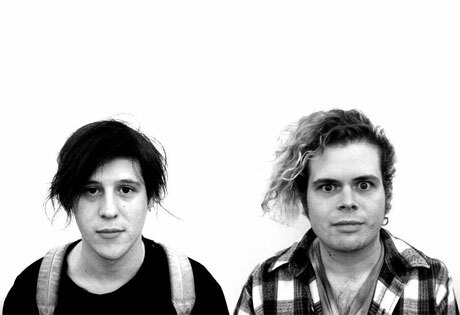 As for getting paid back, Williams and Wavves bass player Stephen Pope took meetings with "almost every major label" — a process that helped fill out their waistlines. "We definitely got to pick out the restaurants. I'd look up the most expensive restaurants in L.A. So I got to just eat crazy filet mignon and bone marrow and $300 bottles of wine. And then we didn't sign with any of them." Most of the meetings went well, although some lived up to the '90s major-label A&R guy stereotypes. "There was one that knew all the other majors had offered me semi-big money and were talking about this record and this guy came in and was talking about all the different things he was going to do for us. And it turned out he had never heard the record. He was just like, 'If they want you, I'm going to make a bid.'" In the end, Williams and Pope signed with Mom + Pop Records. "It was the best deal and they were genuinely excited about it and we like them," he says. "We have a good rapport." Afraid of Heights is out March 26, but as previously reported, Wavves are already on tour in support of the album. Find their dates below.